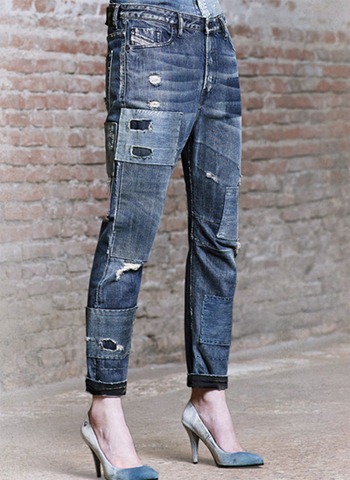 Diesel brings out a preview of their SS’15 denim collection. The brand experiments more with patches, worn out effects, new washing technologies, abrasions, hand stitched tailoring, dirty treatments woven together with Italian creative craftsmanship. New this season, the Debbie has sporty details like an elastic waistband and zip front to guarantee a perfect fit.a cropped leg and stitched front pockets make hips appear smooth and slender and rounded back pockets give a flattering shape at the back. Denim atelier, diesel’s ultra bespoke denim, draws its inspiration from painterly techniques this season. Splatter and worn-out effects, and workwear-like stripes are effortlessly and artfully stylish. 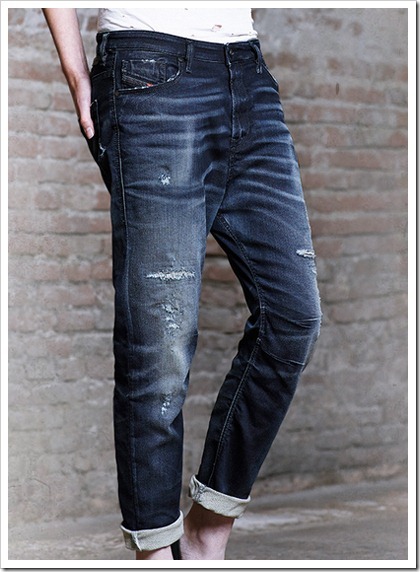 Denim is manually ripped, distressed and splattered with various tonal paint colors, coated treatments fade over time to reveal the original denim at its core, and double fabrics are treated and sewn together for a couture patchwork effect. The DNA collection features new washes every season for the bravest innovations diesel can create. This season, brave frontier embodies Diesel’s heritage: 35 years of taking the finest denim, experiments in washing technologies, abrasions, hand stitched tailoring, dirty treatments woven together with Italian creative craftsmanship. 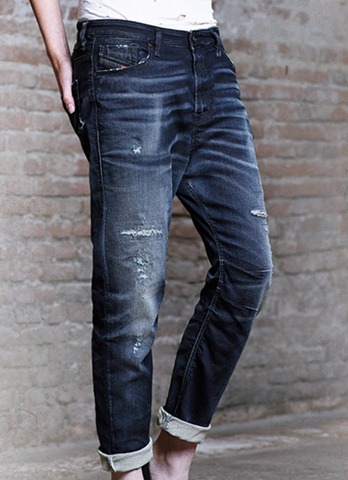 Essentials are based on the knowledge that a great pair of jeans are a constant, and should be constantly available. A seasonal showcase for most iconic indigo blue washes, these are timeless, collectable pieces, all made in Italy. 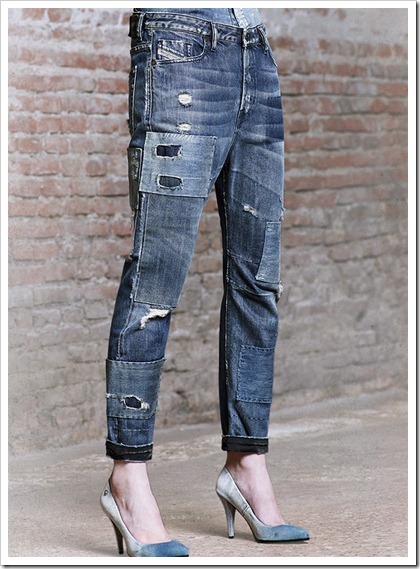 Jogg jeans enter a new generation with distressed looks to give that original denim look . With mills further working on their developments and Diesel working more on the finishing, distresses, styles etc, the result are jeans that look quite original but with the comfort of Jogg Jeans (aka knit denim).